Accent colors add a tremendous amount of dimension and visual interest to your home. You can use them as a focal point, or allow them to fade into the background. Use accent colors to draw the eye around the room. These high impact locations will give you the most use out of your accent color. Painting your kitchen cabinets is another way to bring fun color into your home. You don’t necessarily have to paint all of the cabinets. 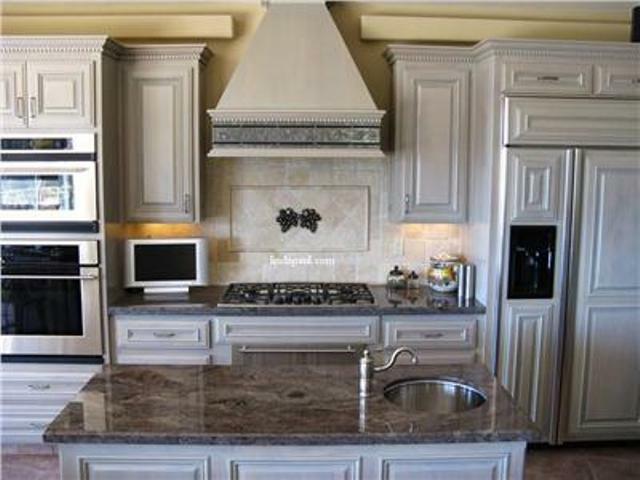 Choose one section of cabinetry to paint, ideally over the stove or sink, and immediately create a strong focal point. Upholstery is a great way to incorporate unconventional color into your space. Mix solid bright colors with bright patterns for some eye-catching furniture. Bright artwork is the perfect accent for neutral rooms. Rooms with dark and hard fabrics such as browns blacks and leathers can provide a heavy atmosphere. Adding bright, fun artwork to the room will give it a completely different and much lighter vibe. Carpeting is another easy way to incorporate a bright color into your design. For a bolder statement, choose a rug or carpet that covers the majority of your floor. For a more subtle approach, choose a small area rug. Pillows are a fun and changeable way to add fun and bright colors and patterns into your home design. The great thing about colorful pillows is they are small and usually fairly inexpensive, so you can change them with ease if you want to update your look.